South Korea's Hyundai Motor Group pledged to hire about 45,000 people over the next five years amid an emphasis on jobs by the government, but analysts doubted if the conglomerate would meet the goal as it was eyeing cost cuts to counter sluggish sales. South Korea's finance ministry announced on Wednesday Hyundai Motor Group's plan for hiring and investing about 23 trillion won ($21.56 billion) over five years after Finance Minister Kim Dong-yeon visited the group's lab earlier in the day. The group includes flagship Hyundai Motor Co and Kia Motors Corp.
A Hyundai Motor Co spokeswoman confirmed the hiring plan but did not comment on the investment sum. She said the finance ministry's statement was discussed with the company beforehand. Neither the ministry nor Hyundai provided details on the hiring. President Moon Jae-in's administration, which is less than a year old, has stressed jobs creation and vowed to take a close look at Hyundai's holding structure. "It could be a gesture to the administration," said Kim Yeon-woo, an analyst at Hanyang Securities. "Hyundai Motor is in the process of limiting overtime and other ways to cut personnel costs, I don't think they are in the position to hire more people," Kim said. In August, a Seoul court ordered Kia Motors to pay about 420 billion won in unpaid wages, ruling in favour of workers in a landmark labour dispute which added to personnel costs. Business groups representing the country's large companies said in May they would work with the government to create jobs and boost investment after President Moon took power vowing to reform the family-run conglomerates that dominate the economy. 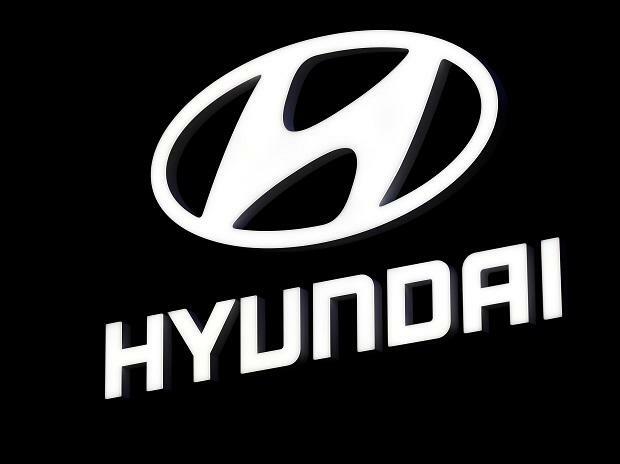 The country's current antitrust chief told Reuters last year that he had been in talks with Hyundai over its web of cross-shareholdings among its group affiliates that resulted in a big governance risk. Hyundai has been increasingly foraying into newer growth areas after its sales slumped last year due to an inadequate product line-up in the United States and diplomatic tensions with China. Besides electric and self-driving cars, the planned investment will also be in fields such as artificial intelligence, batteries and hydrogen energy, as well as start-ups, the ministry said. "Global trends are changing fast," Hyundai Motor Vice Chairman Chung Eui-sun said, according to the statement. "We will recruit better, top-level talent in these new businesses and develop them going forward." Hyundai Motor said earlier this month it had invested in Southeast Asian ride-hailing firm Grab, as it seeks to expand into the region to reduce its reliance on China.